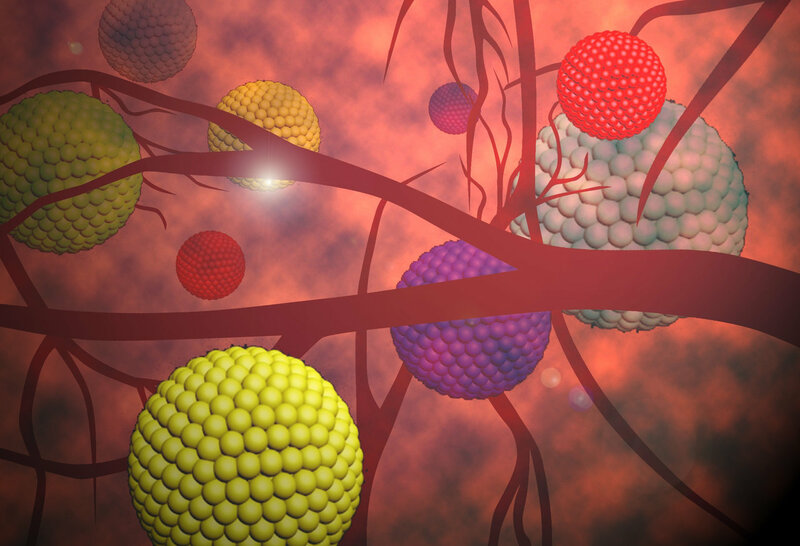 Reported in the science journal Nature Nanotechnology, the research opens up a new avenue in minimally invasive disease diagnosis and will potentially have widespread use both for biomedical research and for clinical applications. 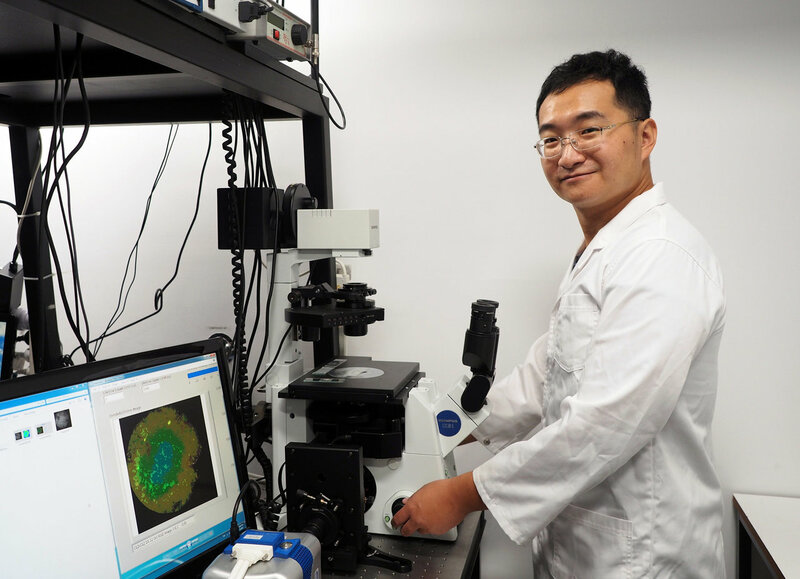 "The use of nanoparticles for bio-imaging of disease is an exciting and fast-moving area of science," says research author Dr. Yiqing Lu at the ARC Centre of Excellence for Nanoscale BioPhotonics (CNBP), Macquarie University. "Specially designed nanoparticles can be placed in biological samples or injected into specific sites of the body and then 'excited' by introduced light such as that from a laser or an optical fibre," he says. "Disease biomarkers targeted by these nanoparticles then reveal themselves, by emitting their own specific wavelength signatures which are able to be identified and imaged." A major limitation however is that only a single disease biomarker at a time is able to be distinguished and quantified in the body using this type of detection technique. "Detection of multiple biomarkers (known as multiplexing) in the body has been a major challenge for researchers," says Dr. Lu. "The tissue environment is extremely complex—full of light absorbing and scattering elements such as blood, muscle and cartilage. And introducing multiple nanoparticles to a site, operating at multiple wavelengths to detect multiple biomarkers, produces too much interference. It makes it extremely difficult to determine accurately if a range of disease biomarkers are present." What Dr. Lu and the research team have done to solve this issue has been to engineer innovative nanoparticles that emit light at the same frequency (near infrared light) but that are able to be coded to emit light for set periods of time (in the microsecond-to-millisecond time range). "It is the duration of the light-emission and the biomarker reaction to this timed amount of light (known as luminescence lifetime) that produces a clearly identifiable molecular signature," he says. "Multiple disease biomarkers can be clearly identified and imaged based on this approach as there are no overlapping wavelengths interfering with the reading." "This enables high-contrast optical biomedical imaging that can detect multiple disease biomarkers all at the one time." says Dr. Lu. In an exciting breakthrough in laboratory testing, the innovative nanoparticles have been able to detect multiple forms of breast cancer tumours in mice. "We're extremely excited where this work is taking us," says Professor Fan Zhang at Fudan University (China) and joint-lead author on the research publication. "We were able to successfully detect and identify key biomarkers for a number of different sub-types of breast cancer." "This technique has the potential to provide a low-invasive method of determining if breast cancer is present, as well as the form of breast cancer, without the need to take tissue samples via biopsy." "Ultimately our novel nanoparticles will enable quantitative assessment for a wide range of disease and cancer biomarkers, all at one time. The technique will be able to be used for early-stage disease screening and potentially utilised in integrated therapy," says Professor Fan Zhang. Professor Jim Piper, CNBP node leader at Macquarie University and also an author on the paper is similarly upbeat with the results that have been obtained. "This is a major advance in a long-term effort at our Centre at Macquarie University to develop innovative techniques for simultaneous detection of multiple disease markers in humans and animals," he says. "Next steps in our research collaboration are to further refine the nanoparticles, to examine issues related to a clinical roll-out of the technology and to explore further applications and disease areas where this technique could be best utilised." 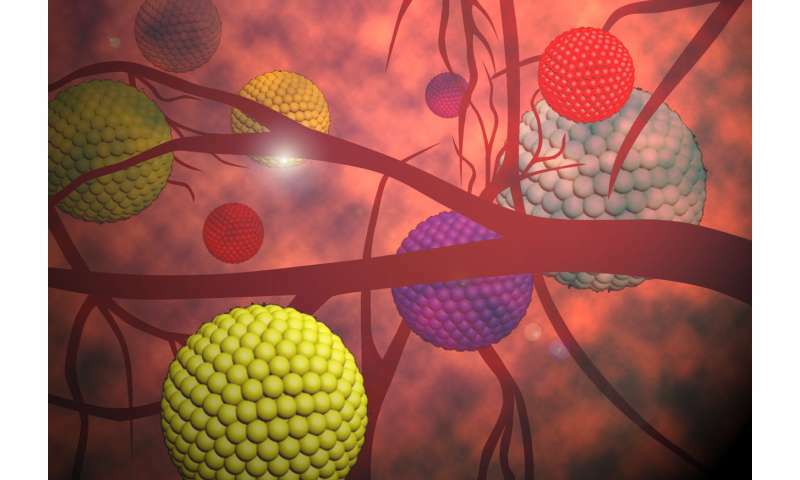 Reported in the journal Nature Nanotechnology, the international team of researchers involved with the study are based at the ARC Centre of Excellence for Nanoscale BioPhotonics (CNBP), Macquarie University and Fudan University, China. 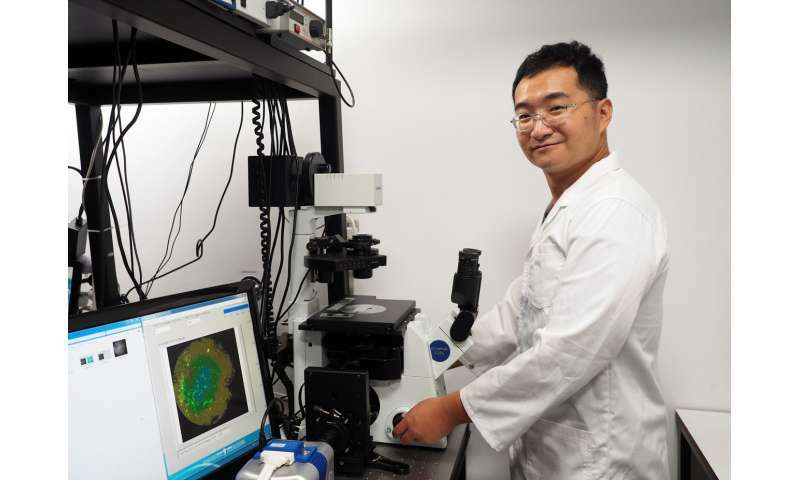 Notably, the work is an extension of previous nanoparticle-imaging research undertaken by Dr. Lu at Macquarie University which has been awarded a patent in the United States and China, and which has already been licensed with commercial partners.